Someone who frequently stays up and suffered lack of sleep will get a lot of health risks. One risk is the occurrence of obesity. This is based from several studies conducted in the United States and the results have been published by the United States of Clinik Nutrition, found that there is a major link between lack of sleep a day with weight gain over time. 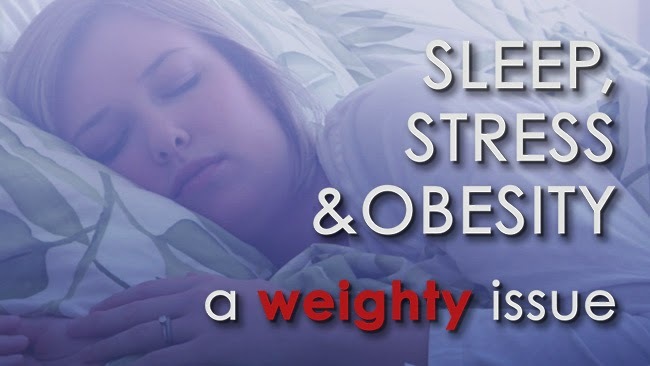 From the research found that the link between less sleep with a high body mass index (BMI), a measure of weight related to height. It is used to measure whether someone is overweight or obese. In a study involving 7022 people, in middle age found that women who have sleep disorders tend to experience weight gain significantly. 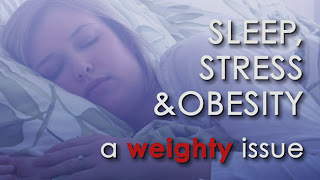 Thing to know is why the quality of sleep can affect a person's weight? In a study presented at a scientific seminar of the American Heart Association 2011, explained that women who only had 4 hours sleep a night to consume 329 extra calories in the morning. The amount is far more than women who slept nine hours a day. In another study published in the American Journal of Clinical Nutrition, 11 respondents to stay in a place called the sleep center for 14 days. Throughout that period, they underwent two sleep sessions. The first session, the respondent slept 5.5 hours a night and two 8.5-hour sessions. During sleep only 5.5 hours, increasing their desire to snack and evening tend to choose high-carbohydrate snacks. Sleeping less than 7-8 hours a day will make it difficult to collect the body energy to move, digest food well. Numerous studies showed that people who have tired every day, metoblisme body will decrease. Metabolism is the process of converting food nutrients and calories into energy the body needs to perform the activity. Low metabolism means the body's ability to burn calories is also less. In a study by the department of Neuroendocrinology at the University of Lubeck, Germany, the researchers analyzed a group of male respondents. They were asked to sleep for 12 hours, but not allowed to sleep the next night. Respondents were then invited to eat lavish buffet the next morning. Then the researchers analyzed how many calories you burn when respondents get up and eat. When in a state of sleep deprivation, the body's energy is expended respondents 5 percent less than when they are sleeping enough. When someone does not get enough rest, which could affect the formation of glucose leads to the emergence of diabetes. Sleep deprivation can increase hunger. It also makes the body feel tired throughout the day so that physical activity was reduced. Lack of exercise and physical inactivity can lead to more rapid weight gain. Make sure you get enough sleep and quality. Do not bring your problems and worries to bed. Sleep, is the time you are calm and relaxed, not thinking about work piling up at the office or a presentation tomorrow. Sleeping with anxiety and restlessness will damage your physical and mental health. To prevent this from happening, try to practice meditation or relaxation techniques before bed to relieve stress - that could potentially lead to obesity. Remember, sleep quality will result in a healthy body.